For years Google has been performing so many amazing tech feats that we take them for granted. But I saw a new trick yesterday that made my jaw drop. I backup and store all my pictures and documents on Google Drive. One of its best features is the ability to search those on-line documents. As you might expect from the Google, their search is complete and instantaneous. Not only does it search for text inside your stored documents, it also searches for text inside your stored images. The Google returned another link, this one to a photograph, also in my archives. Clicking on that link I recognized a picture I had taken in San Francisco at a gallery in the Legion of Honor. Looking at the photo I had no idea why Google had pulled out this image in response to my search query. Then I noticed a small attribution card on the wall just to the right of the painting. I tried to make out what it said, but the card was illegible. When I enlarged it, as you can see, it was still illegible. And believe me, the original image on my hard drive looks no better than what I’ve shown here. 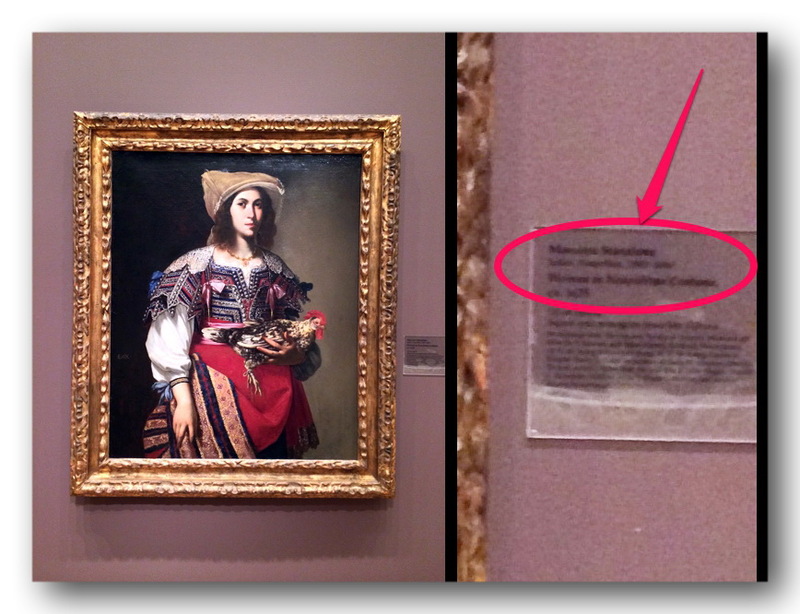 The tiny attribution card next to the painting is enlarged on the right. Attempting to determine the painting’s provenance, I goggled “massimo legion of honor” on the world-wide interweb, which returned this next image, shown below. Obviously it’s the same painting and gives us the artist’s name, Massimo Stanzione. Incredibly, the Google was able to make out “Massimo” on the attribution card when it searched my documents. Checking to see for myself whether the Google was just close like in horseshoes, I went back and searched my documents for “mossimo” instead of “massimo”, and guess what… no hits, the search was that accurate! I almost hate to think of what’s next up Google’s sleeve. This is getting close to creepy. In the meantime, Keep Calm and Carry On.